Northern Oil and Gas has been a minor obsession of mine for some years and we have remained continuously short. This is a blog post first published in March 2011 discusses - for the benefit of shareholders - who has been making the major capital decisions for them. Northern Oil is not a traditional oil exploration and production company. It has a simple model. It buys part shares in acreage in the Bakken shale. It waits until the major holder develops the acreage and it pays a proportion of the development costs and receives a proportion of the revenue. That allows it to be a 1.6 billion dollar company with only 11 staff. The only expertise it brings to the table is buying acreage. And they buy it at a wide scatter of prices. They have paid $2500 or more an acre for some small (and presumably productive) lots. For example they paid $2500 an acre for 1748 net acres in Williams and McKenzie County of North Dakota during 4q 2010. They have paid less than 250 an acre for some very large lots. In the last quarter they purchased a 50% working interest in approximately 14,538 net acres in Richland County Montana for less than $250 an acre in the same quarter. In that case the acreage was purchased from the operator (Slawson) and presumably the operator had better-than-average intelligence as to the quality of that acreage. The supporters of the stock value the stock based on acreage owned. This is obvious enough because you most certainly would not want to value it against current earnings or current revenue. Given that acreage purchase is the whole reason for owning Northern Oil and believing the Northern Oil story it is worth following the people who manage acreage purchase. Betting on Northern Oil is above all betting on those people. Northern Oil after all buys acreage in a scatter of prices almost all below $3000 an acre with large purchases below $250 an acre but is valued by the market at about $8600 per acre. 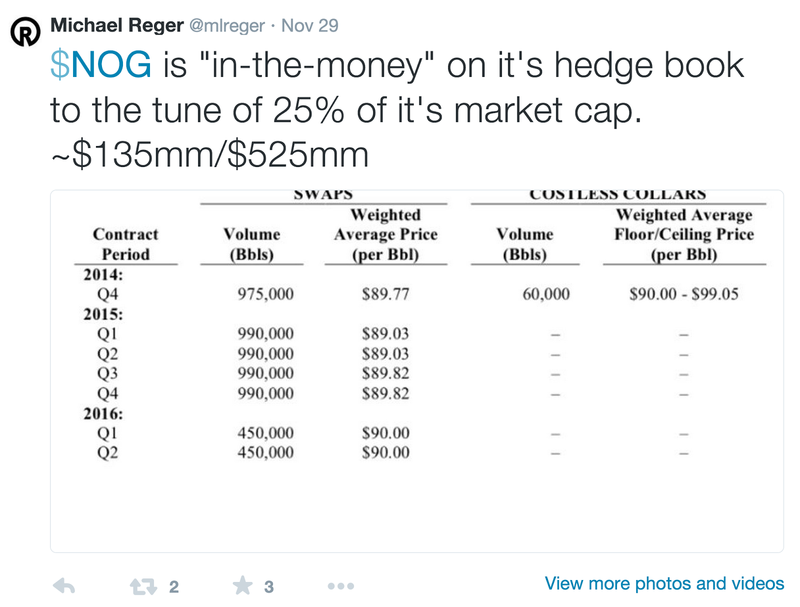 The acreage buying is the driver of incredible (market) value. Kruise Kemp is no stranger to the courthouses of northeastern Montana. The land manager for Minnesota-based Northern Oil & Gas said there are several buzzing with the land men just like Richland County's. Many of those speculators are looking to "top lease," meaning their sniffing out existing oil leases that are just about to expire in hopes of swooping in to strike up a new deal just as the clock runs out. In these parts, Montanans, some with leases that went untapped, have looked in envy toward North Dakota where drilling rigs have cropped up like knapweed the last couple years. There are 138 rigs punching holes through the shale in North Dakota. Here, there is only a handful. Kemp said the state of North Dakota had provided oil companies with a wealth of services including online field data that made it easy to setup. And drilling rigs attract other drilling rigs. It's a safe assumption when you see other rigs active in your area that you're going to hit something. Having so many rigs drilling in one area puts pressure on companies to permit as many wells as possible before moving on. But now companies are turning to Montana to further define the productive area of the Bakken. Working with two other companies, Northern launched a new 3,000-acre project in Richland County this month and has two others nearby. You see Northern is buying the land where the drills aren't. Of course this makes it cheap. It could be cheap for a reason - the drills not being there because it is not really all that good land. Or it could be that Northern Oil is really great at finding cheap acreage that really is super-prospective. Well as investors we can't directly know. We don't see the seismic and we are not there with the drill bit. All we have to go on in the people. And so I present to you a picture - a couple of years old - of Mr Kruise Kemp. He played golf for Montana State and was a business school graduate (no particular honors) in the spring of 2010. A nexus search identifies him as 23 years old. So what qualifies Kruise Kemp for such a senior role in a 1.6 billion dollar company? Well it is not his finance degree. But Kruise is steeped in the oil industry in Montana. His father owns or controls a couple of oil companies. (I can find their names but not much detail about them.) His late grandfather was also an oilman. Northern Oil has also done many related party transactions to buy acreage. If the company is buying acreage from directors then I guess it is incumbent on the land manager to vet those purchases. Kemp is the man with that job. We view Kemp's age and business degree (rather than say a major in geology or reservoir engineering) with skepticism. Then again we own Google. That is one of the greatest companies in history and it was started by (very bright) people in their 20s. Steve Jobs was 16 when he was introduced to Steve Wozniak and Apple was the result. 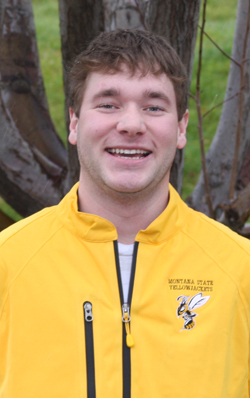 It could be that Montana State University business school has produced one of the world's great 23 year old oil-industry entrepreneurs. Might be. As a Northern Oil shareholder that is one of the things you are betting on.